I created the Chibi Reader blog last November and since then I’ve been trying to post something every week, be it reviews, cover reveals or not so often random ramblings (things that I wanted to post more often but…). So, it’s with great joy that I tell you that we have a new reviewer at Chibi Reader! To show how happy I am I found some GIFs that basically show my reaction when I finally found a person to be my co-blogger. What will this do to Chibi Reader? Well, for starters, Chibi Reader will be updated more often. This means more reviews, maybe some commenting about a book we both are reading, who knows, this may lead to some review wars, and hopefully some non-sense, amazing and absolutely useless posts! But who is this person? You have to wait no further to know! I’ll let her take care of her own introduction to the world of book blogging. Take it away, Sofyy! Welcome to Gryffindor! Uh, Chibi Reader. It’s almost as awesome as Gryffindor! Hey, guys! Ana here again. So, I think this will be really good for the blog and will make it better in every way! Let’s just hope I don’t scare Sofyy away AH! Goodreads: “On the heels of a family tragedy, Katie Greene must move halfway across the world. Stuck with her aunt in Shizuoka, Japan, Katie feels lost. Alone. She doesn’t know the language, she can barely hold a pair of chopsticks, and she can’t seem to get the hang of taking her shoes off whenever she enters a building. When Katie meets aloof but gorgeous Tomohiro, the star of the school’s kendo team, she is intrigued by him… and a little scared. His tough attitude seems meant to keep her at a distance, and when they’re near each other, strange things happen. Pens explode. Ink drips from nowhere. And unless Katie is seeing things, drawings come to life. 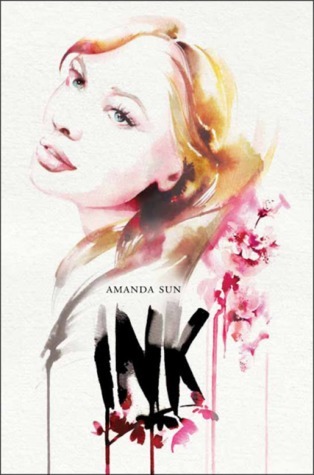 I was looking for a book to read on Goodreads when I came upon Ink. As soon as I read the word “Japan” on the blurb I said “I MUST HAVE THIS!”. Ok, some yelling may have been involved as well as some embarrassing dancing from happiness. Goodreads: “Allison Sekemoto has vowed to rescue her creator, Kanin, who is being held hostage and tortured by the psychotic vampire Sarren. The call of blood leads her back to the beginning—New Covington and the Fringe, and a vampire prince who wants her dead yet may become her wary ally. 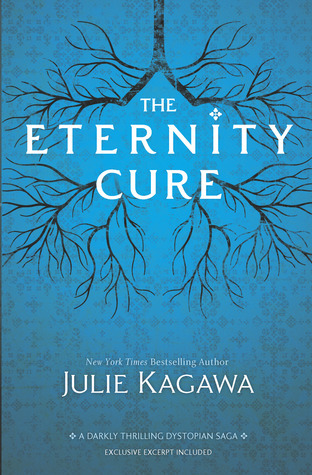 “I have no words to describe how I feel” where my first thoughts as soon as I finished reading The Eternity Cure. Julie Kagawa did not disappoint and delivered us a spectacular sequel. In my opinion The Eternity Cure is even better than The Immortal Rules! It was pure awesomesauce. I devoured it in one day! Aaannnnnd another series comes to an end. To be honest, I didn’t want to read this book. Ok, I WANTED to read this book but I just couldn’t imagine Clara, Tucker and Christian’s journey to end.